We are a group of passionate skaters ranging from 16 - 80 years old who wish to have a safe place to hone our skills and socialise with other skaters, BMXers and scooter riders. Skateboarding in the UK has grown massively. It is even being considered for future Olympic status. We believe that Knutsford, which has a vibrant skating and BMXing community, should its very own skate park where we can safely practice our tricks and socialise in a safe and supportive atmosphere. We have formed a group of skaters of all ages, and have been consulting with the local community about designs, and imaginative ways to raise funds for the park! We will provide Knutsford with a quality skate park which will help enhance the local economy. It is a fantastic idea as it has captured the imagination of everyone in the town, the local council and the Chancellor of the Exchequer, George Osborne. We have even got a supportive personal letter of support from legendary skateboarder Tony Hawk. Through fundraising and lots of. We already have the designs and the consultation complete. It is important to acknowledge also that a quality skate park for Knutsford is one of the recommendations of the Knutsford Town Plan, which has the backing of the majority of people in the town. 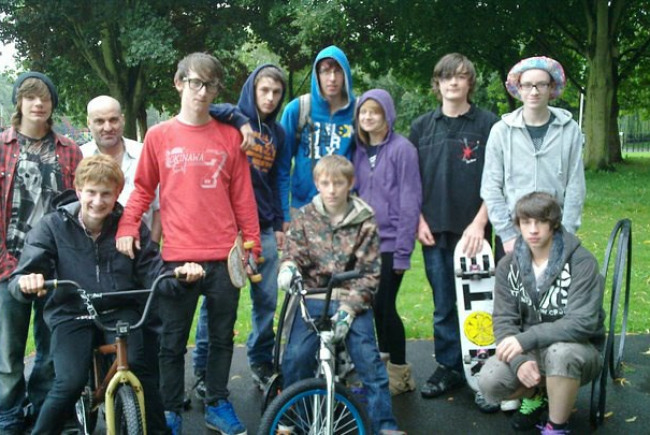 I am a former Independent Knutsford Town Cllr and Chairman of Commuity group who was approached last year by a group of Skaters asking if there were possibilities of a Skatepark in Knutsford. We have everything in [Place - the skaters have formed a group Knutsford SK8Rs project and we are in a position to start fundraising.